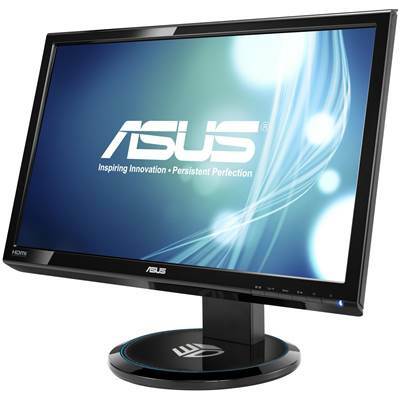 Dive into an immersive and colorful full 3D virtual world with the ASUS VG23AH 3D IPS LED-backlit monitor. With a touch of a hotkey, ASUS All-in 3D Technology lets you instantly switch from 2D to breathtaking 3D visuals. Enjoy a sharp, stunning 2D and 3D home theater experience while reveling in pitch-perfect audio from its built-in 3W stereo speakers. 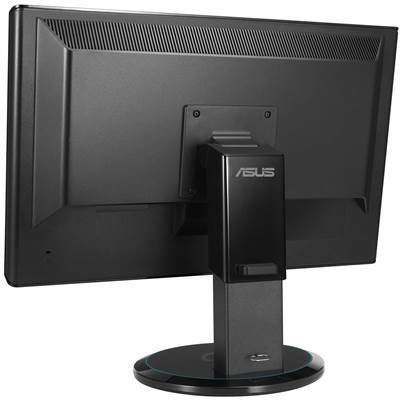 Its ergonomic, user-friendly design features increased connectivity through dual HDMI 1.4 ports, while the bundled ASUS 3D and additional 3D clip-on glasses ensure a comfortable viewing experience. The VG23AH features Film-type Patterned Retarder (FPR) 3D technology that transports users into an immersive 3D virtual world. The technology used in FPR 3D monitors separate the 3D images that are delivered to the left and right eye simultaneously to deliver flicker-free 3D visuals that are easy on your eyes. 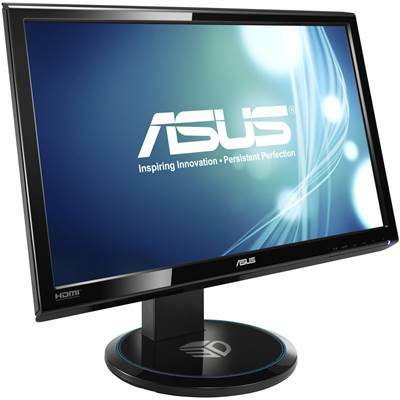 Do away with complicated 3D system setups with the ASUS All-in 3D technology. The VG23AH features an exclusive hotkey that allows users to convert any 2D to 3D content easily without compromising performance. The VG23AH delivers the ultimate cinematic home theater experience — providing ultra-crisp and smooth 2D or 3D visuals accompanied by audio from its built-in 3W stereo speakers. Vivid Color Performance and Visual Experience. The VG23AH brings users into a spectacular colorful world in full HD 1080p and its IPS panel provides a 178° wide-view angle on both vertical and horizontal planes, with minimal color shift. ASUS Smart Contrast Ratio provides lifelike images with an 80,000,000:1 contrast ratio, giving users the darkest of blacks and the brightest of whites; while Splendid™ Video Intelligence Technology optimizes video performance and image fidelity by enhancing color, brightness, contrast, and sharpness. Six preset video modes (Scenery, Theater, Game, Night View, sRGB and Standard) can be selected via a hotkey. The VG23AH features a smart design with dual HDMI 1.4 output ports. These twin ports provide 3D Blu-ray support, and allows for greater flexibility with the display being concurrently connected to both a game console and Blu-ray disc player and can be easily switched on/off when in use. 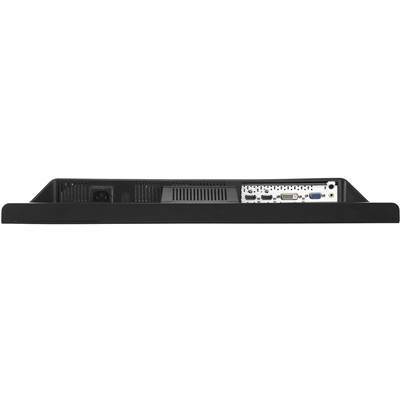 In addition, it offers extra connectivity options by way of single-link DVI and D-sub ports. 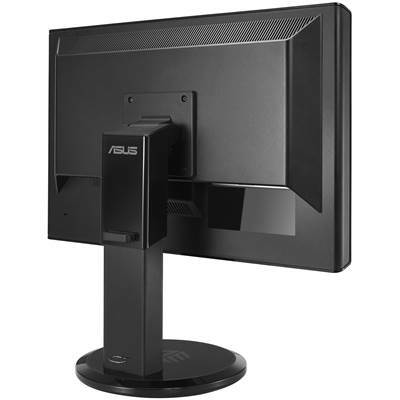 The VG23AH has been ergonomically designed to ensure that users always find a comfortable viewing position thanks to its swivel, tilt, and height adjustable stand. It also comes with lightweight, battery-free 3D glasses. 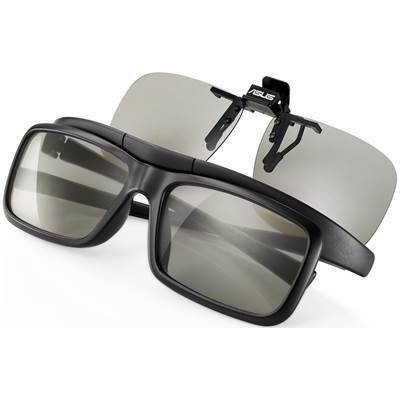 These FPR 3D glasses are flicker-free as the two lenses receive the images for the left and right eye from the display simultaneously. 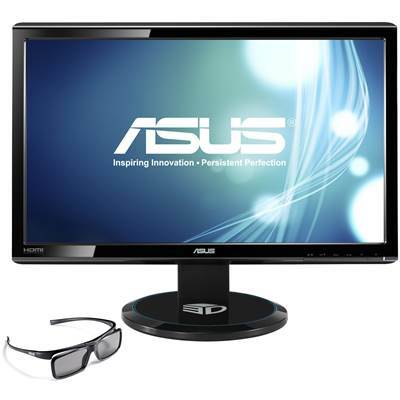 These glasses feature an ASUS-exclusive design, and do not contain any electrical components, with the user not needing to worry about charging the battery. These 3D glasses ensure a comfortable fit for the user. 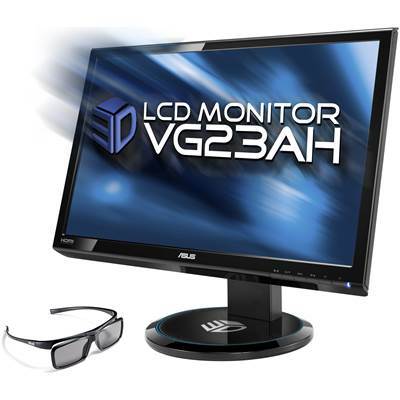 The VG23AH comes with a pair of 3D glasses, along with additional 3D clip-on glasses.